This series is an ongoing project of birds from around the world with an emphasis on British and South - East Asian species. Illustrations: Hand drawn using Copic Multiliner, Rotring Pigment Ink and Sakura Pigma Micron archival ink fineliners on cartridge paper. 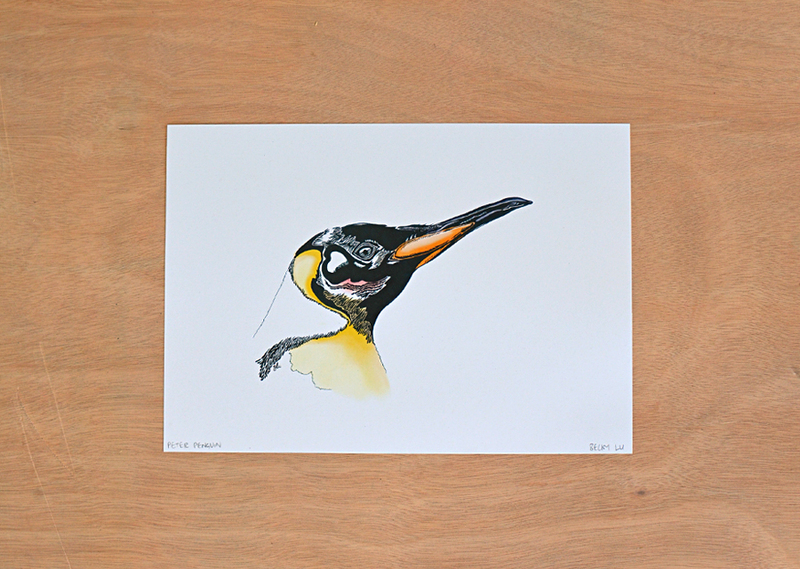 Digital prints: Printed on sustainably sourced and recycled, 300gsm heavy weight matt paper. Tote bags: Silk screen-printed by hand using Minerprint pigments and water based binders by Magmaprint, on 100% cotton.